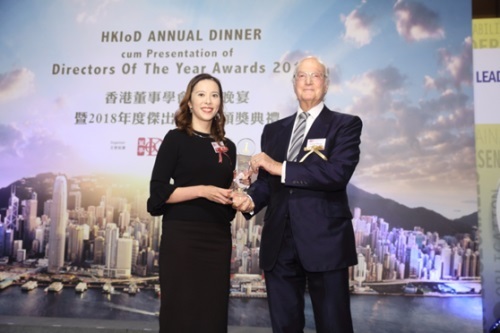 HONG KONG, Dec 6, 2018 - (ACN Newswire) - Champion Real Estate Investment Trust ("Champion REIT") (Stock Code: 2778), owner of Three Garden Road and Langham Place, has won nine awards in all the past year for excellence in corporate governance, social responsibility and investor relations. The honours spoke volumes to Champion REIT's continuous commitment to enhancing operational performance and overall corporate governance at the best of its ability. Champion REIT is also dedicated to giving back to society, creating long-term value for both its business and the communities where it operates. 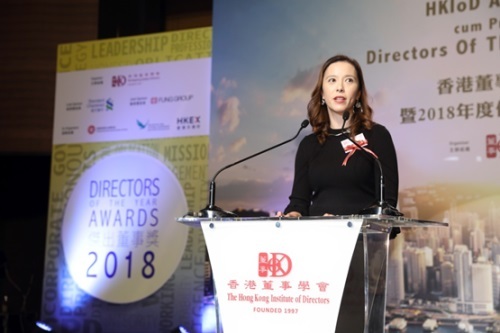 Among all the awards won, the Directors of the Year Awards 2018 (Listed Companies - Executive Directors) received by Ms Ada Wong, Chief Executive Officer of Champion REIT, from the Hong Kong Institute of Directors was a first. The award recognised Ms Wong for her determination to promote and implement good corporate governance, advocate and put into practice good governance concepts and lead the company in achieving new milestones, making her a model of the award theme "Leadership in Times of Change". Langham Place, always embracing innovation and change, was a recipient again of the Marketing Excellence Awards from Marketing Magazine. It was credited for tying in innovative marketing with latest market trends. Tapping into the recent so-called "Buddhist-living style", it held an event featuring Sanrio's Gudetama (a popular lazy egg cartoon character) and brought in technology to integrate the real and virtual worlds. Chatbot (a chatty robot) was created to interact with customers, hence succeeded in driving customer flow and shop sales. The excellent performance of Champion REIT itself in the past year was also well-recognised. It received from the Hong Kong Economic Journal "The Listed Company Awards of Excellence 2018", deemed a valuable reference indicator and source of market information for investors. And, boasting outstanding performance in business results, investor relations, sustainable development and corporate governance, Champion REIT was again named the "Listed Enterprise of the Year 2018" by Bloomberg Businessweek/Chinese Edition. Ms Ada Wong, Chief Executive Officer of Champion REIT, said, "We are very pleased with having received the different awards in 2018, recognising not only our excellent corporate governance standard, but also the fruit of our innovative business tactics and timely response to change. They also reflected the endorsement from investors and the industry for our social responsibility and investor relations endeavours. Looking ahead, we will continue to generate long-term returns for our unitholders, care about stakeholders' wellness and strive to build quality communities." - Design & Event Marketing - Langham Place Mall "Gudetama's Comfort Journey"